Discussion in 'Vaping General Chat' started by cerebral79, Apr 7, 2014. Today my Kraken Tank Atomizer arrived and I thought I would post some pics of it. So far it is hitting like a champ and the flavor is really good. It is a little awkward to build on but I think that will get better the more I work with it. I am using two coils that are 7 wraps of 28ga kanthal each with cotton wicks. It comes out to .5 ohms on the meter. 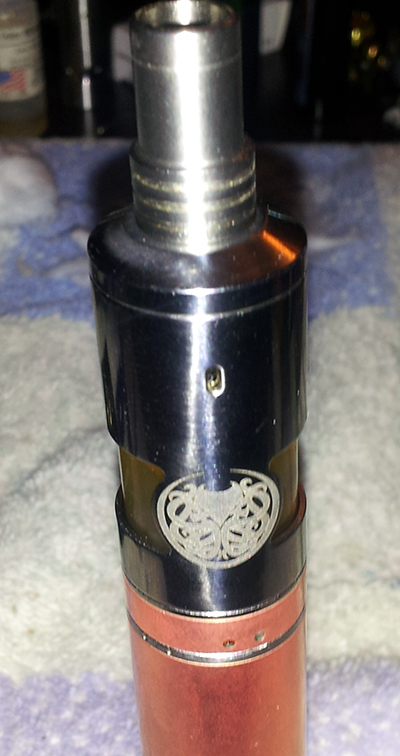 I have it sitting on my copper Nemesis clone mechanical mod, using 18650 size batteries. The cotton and the coils are a bit funky because I had been vaping on it for a few hours, sorry about that lol. Very nice! I`m getting jealous just by checking out all those cool tanks and battery variations that you post. I really need to save up some money and get into this as well. the copper mod was like 30 bucks and the kraken was 27 bucks, here is the ebay page I got it from. 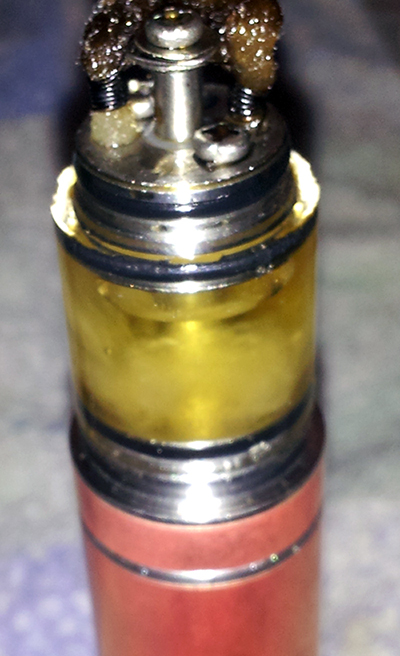 After vaping off it for a day or so, it is turning out to be an awesome rebuildable tank.